K-Pop boy groups are rising pretty fast, but there is one group that shiningly steals the spotlight. Bangtan Boys, Bangtan Sonyeondan, Bulletproof Boy Scouts, or simply BTS has successfully introduced themselves as one of the best boy bands of our generation. 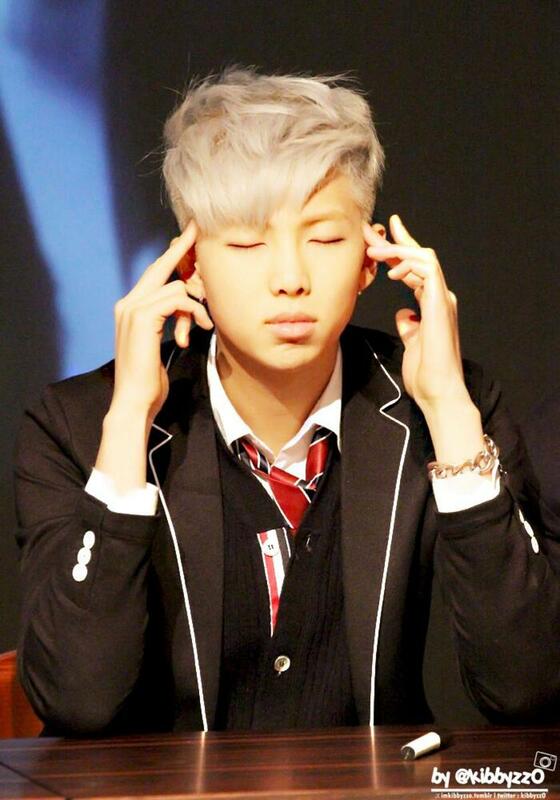 The group is composed of seven members: Rap Monster, Jin, J-hope, Jimin, V, Jungkook, and of course, the swag master, Suga. 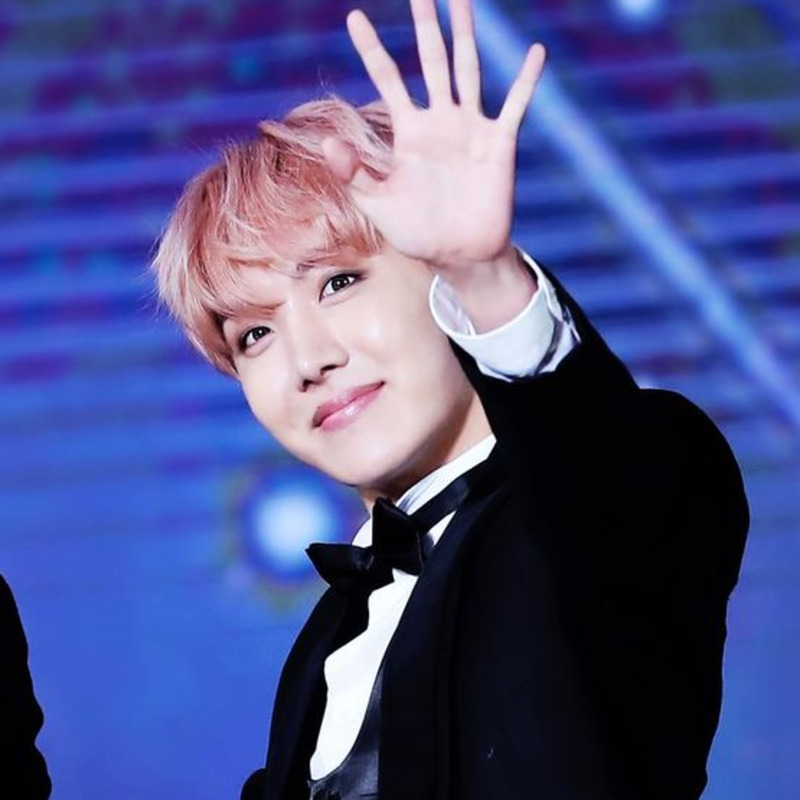 Many of the Army Stans are falling for him from head to toe because he is not just a cool rapper but a very straightforward, honest, and uncomplicated person. 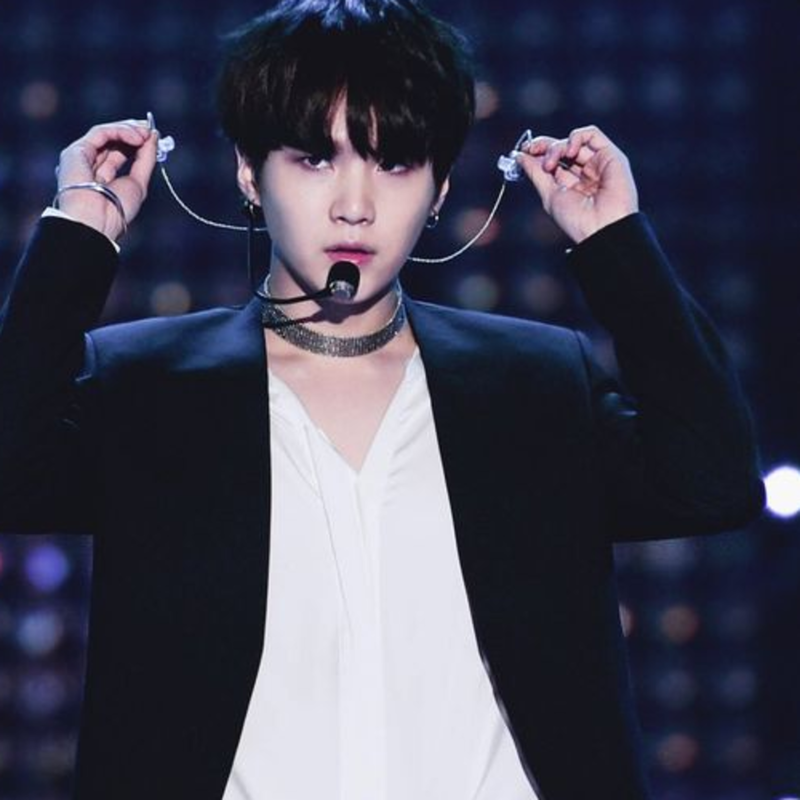 This article will show some fun facts and trivia about Min Yoongi that you probably don't know yet. Also, you will find out the reasons why we love him, and if you're not yet a fan, get ready to embrace the things that can make you love the swagger rapper of BTS - Suga, aka Min Yoongi genius jjang jjang man boong boong. He was born on March 9, 1993. His hometown is in Daegu, South Korea. 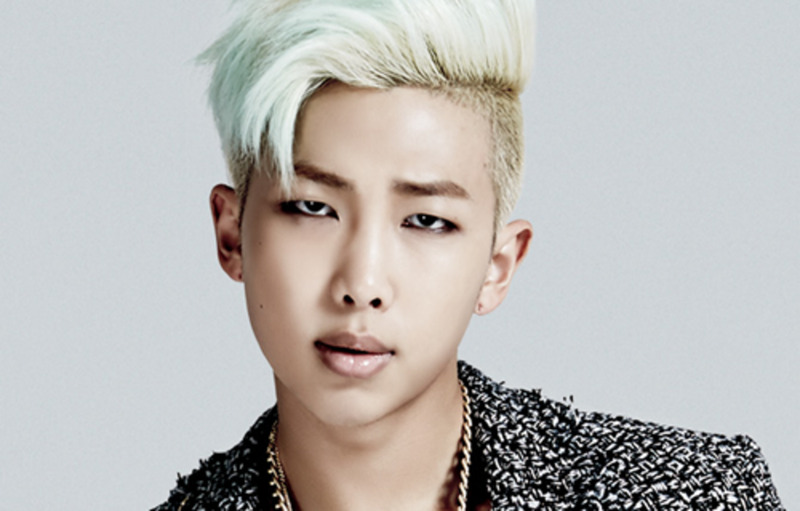 Apart from his talent in music, rap, and songwriting, Suga likes cooking and his favorite food is meat. He has a strong passion in photography. He likes cameras, electronics, and accessories. According to a webster dictionary, swag is a slang term for stylish confidence. If that's the case, then nothing beats the ultimate swag master of BTS. Whether he is just lazing around or being on the hyper mode, you'll see that Suga is Suga and he can't be anyone else because he is already confident about himself, and he doesn't have to change a thing to make himself appear perfect. 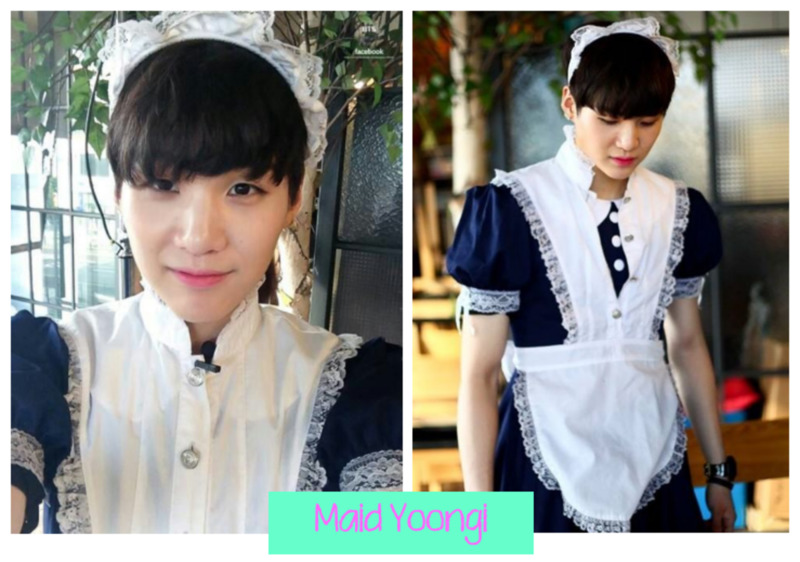 In 2014 BTS 60s interview, he proudly raised his hand and shouted "Min Yoongi" when asked who is the most handsome in the group. He also raised his hand and shouted "Min Suga" when asked who is the member who doesn't listen to their manager. He also believed that he is the king of bluffing in the group, and that honesty and confidence is just a major turn on! He is a really natural guy who doesn't like to worry about anything. His honest and straightforward personality is the best reason why he can speak and express his thoughts in the easiest way. He said, "I really like things I like but really dislike things that I don’t like, although I normally like lazing around, I’m not lazy on things that I enjoy, I usually confront someone instead of talking about it behind their backs.” Now that's what a real swag is! Min Suga. Genius. Those two words should be enough. But 'genius' alone is not enough to describe how awesome, cool, and incredible of a man he is. In the 2016 BTS Festa Self-written profiles, our swag master answered "super genius" as a new adjective that would best describe himself! He is sarcastically smart who likes to think realistically, is also assertive, and is naturally stylish. 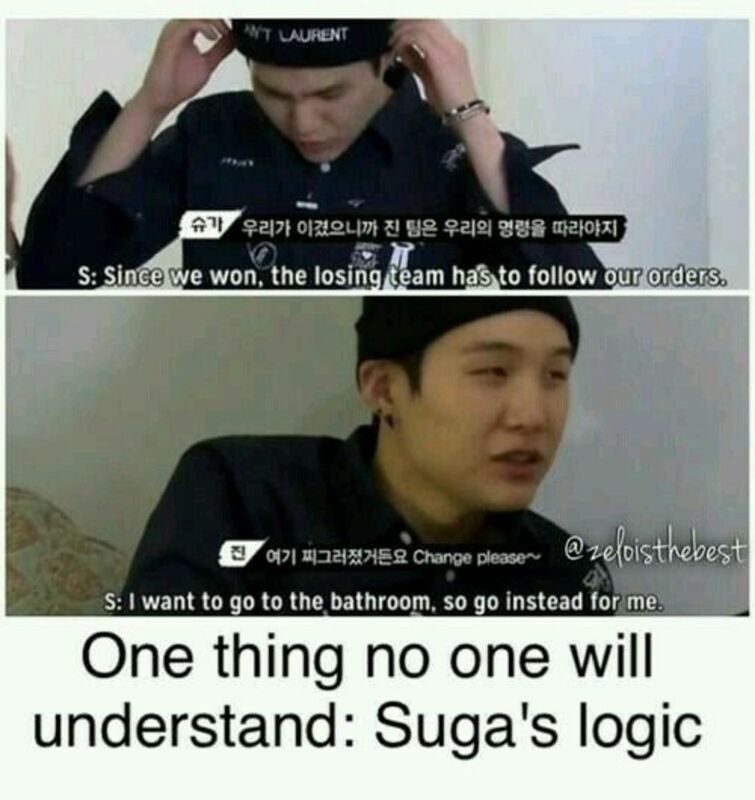 Taking things seriously, Suga has his reasons to claim that he's a genius. 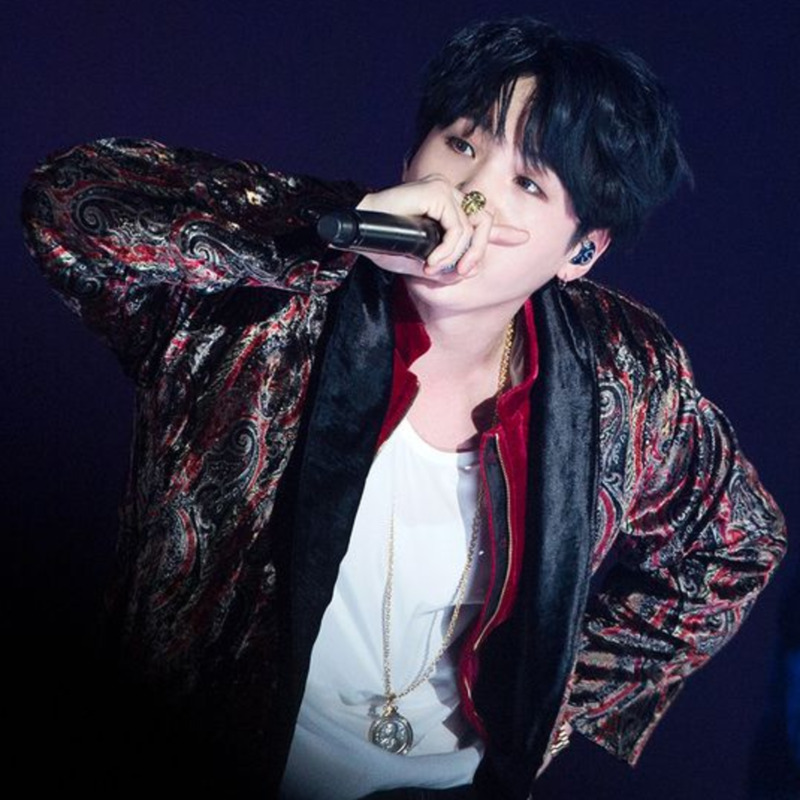 In fact, he passionately laid a fierce rap on the track 'Agust D', which brings his mind-blowing talent into the next level with his intense performance. 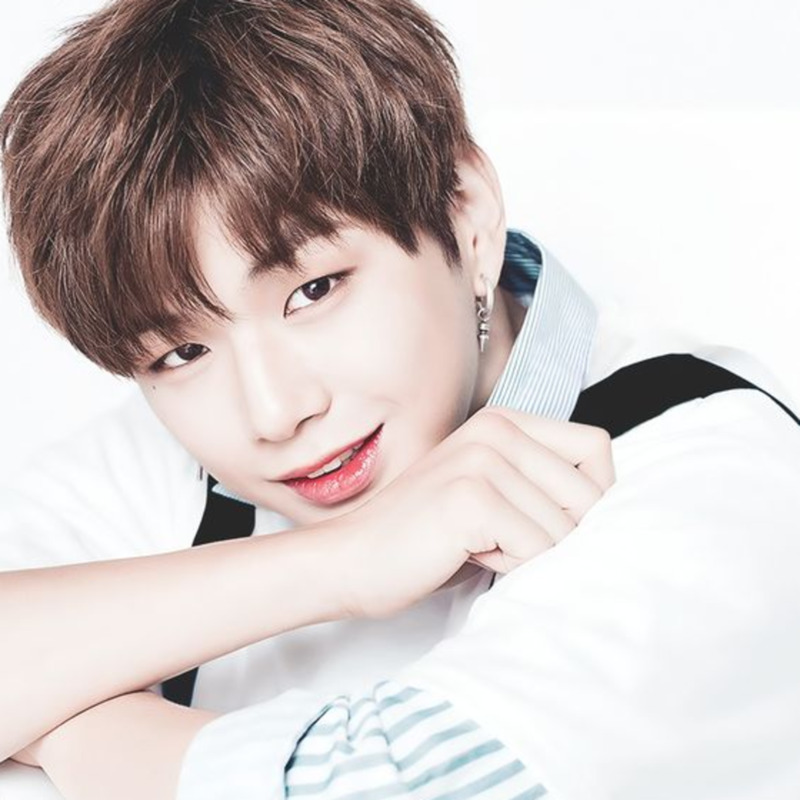 More than the performance, the message behind the song is emotionally captivating as it addresses his issue of depression, social phobia, and OCD while feeling homesick since he left his hometown to pursue his dream in the city. 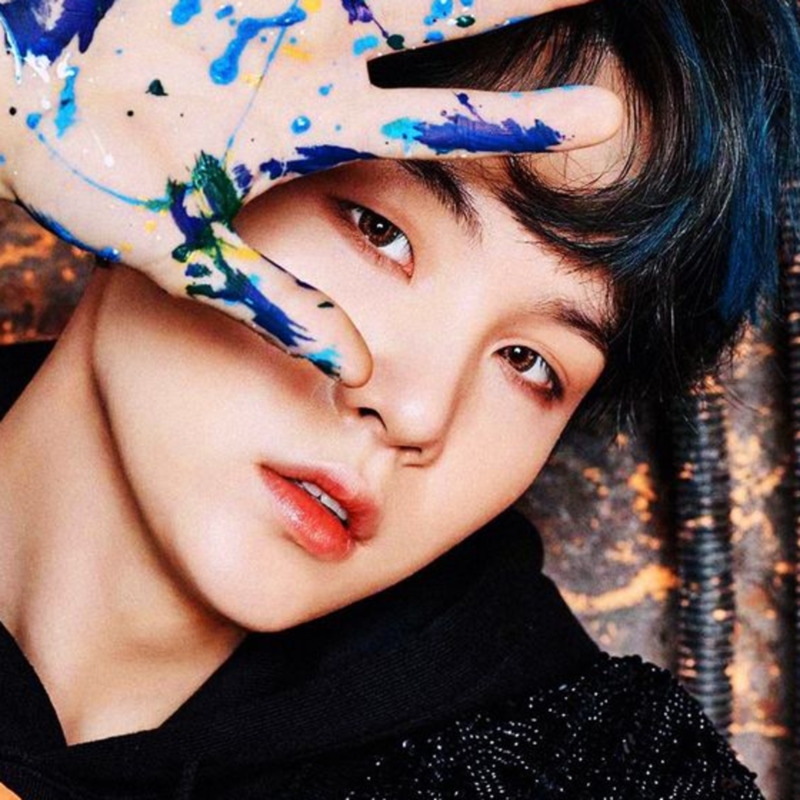 The track shows a totally different artist - he had successfully asserted that there is a new artist under the name 'Agust D', and this masterpiece is entirely different from the works of Suga from BTS. 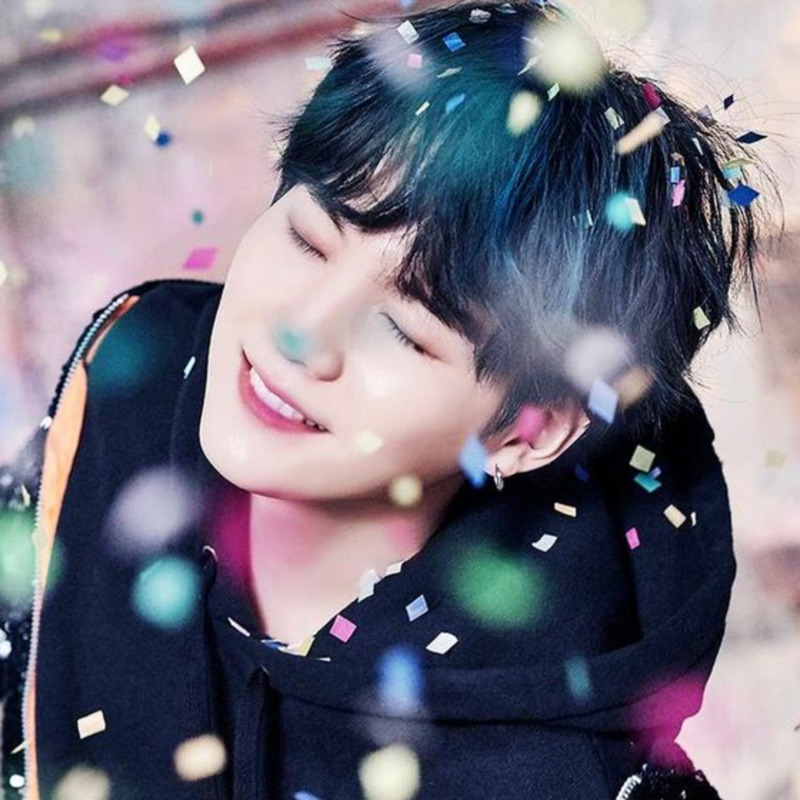 'Agust D' was entirely produced by Min Suga himself, and his hard work was paid off with the immediate success of the track as well as the music video, which garnered more than a million views after 12 hours of uploading on Youtube. Going back to the Suga of BTS, he also asserts himself genius by a rap that goes like "Min Suga genius jjang jjang man boong boong". 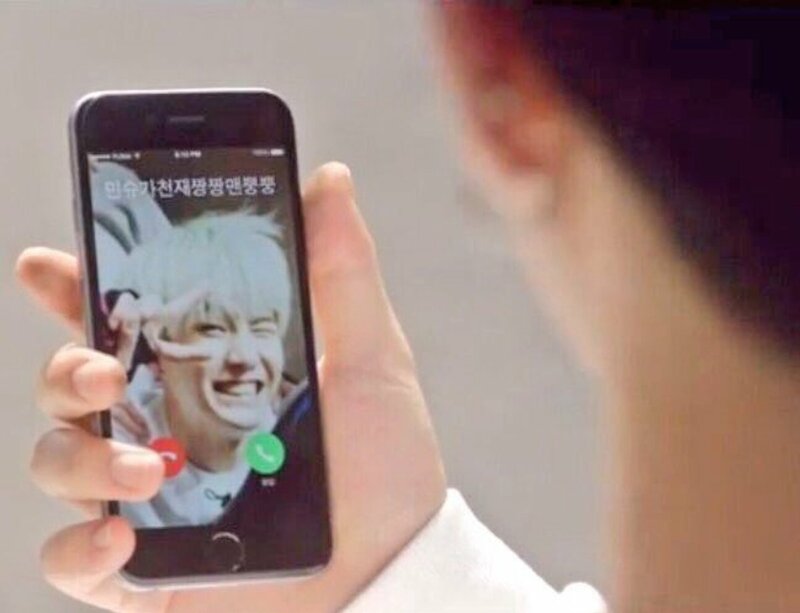 This rap becomes a hot trend, which is why Jimin saved him on his phone as "Min Suga jjang jjang man boong boong" as seen on his Puma CF! 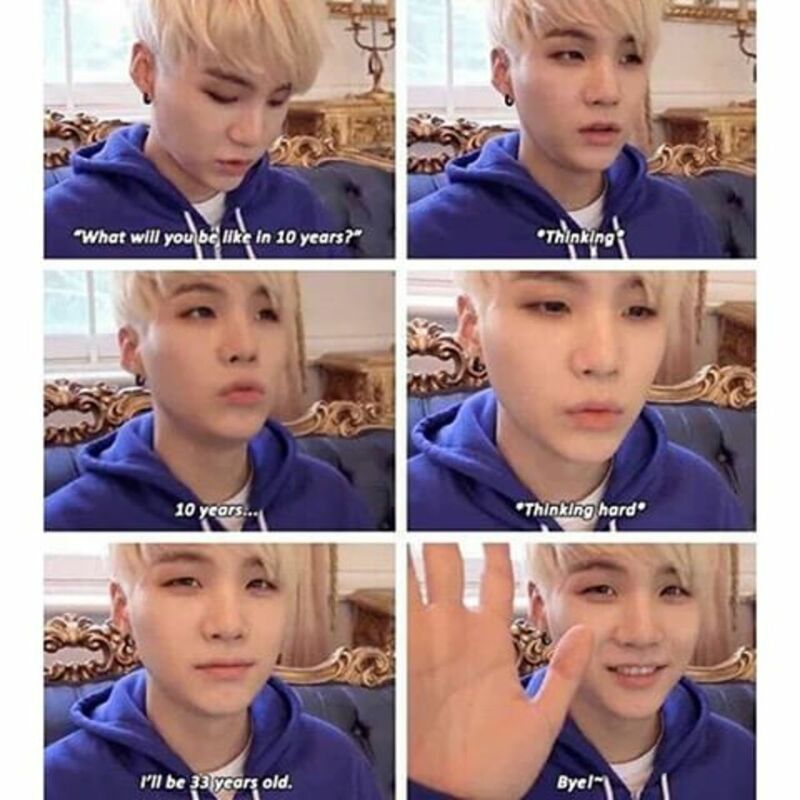 If you're a fan of Yoongi, then you can not escape from his words of wisdom. Have you realized how life can be so easy if you don't take it seriously? Yoongi would say "don't take it so hard, it's okay if you lose!" 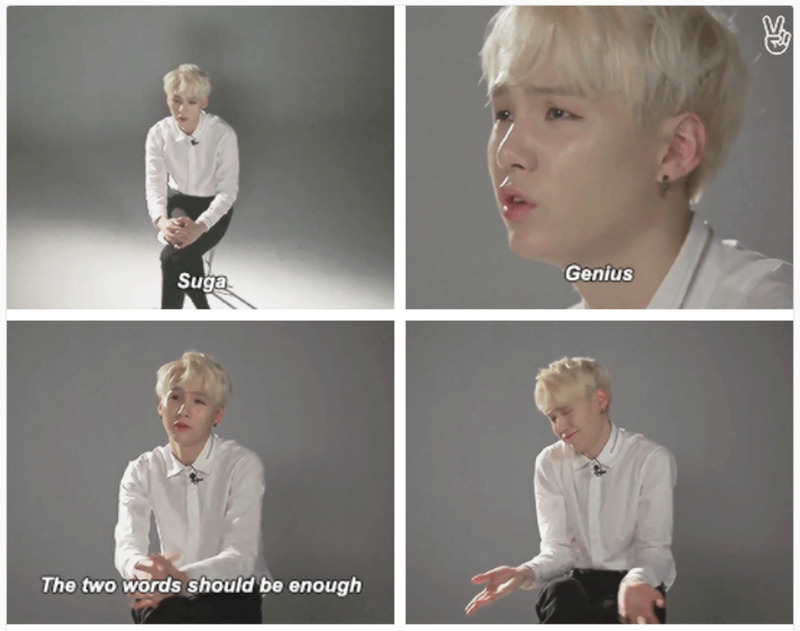 He described himself as genius and super genius, but if there's another word that would best describe Yoongi, that would be 'easy'. One thing we like about him is his effortless and truthful thoughts which sometimes makes us realize how adorable he is. His logic is simple, cool, and you have to accept it because it's cute. His thinking is so brilliantly uncomplicated, and that makes him appear so brilliantly genius! RapMon (to Suga): What inspires you the most? Suga's English is just too cute to handle! Even the golden maknae adores his hyung for being a cutie pie. Isn't he the sweetest-looking eye candy ever? In their 2016 self-written profile, there is one thing in common between Suga and Jungkook, and that is lamb skewers! Suga described him and JK as the 'lamb skewers duo'. He was the first one to introduce the food to JK, and since then, it became JK's favorite food that he even ask his hyung to buy him some whenever he is craving! And among the group, the are the only ones who eat it. Just like how JK described his Suga hyung in the profile, they are the lamb skewers friends because they eat lamb skewers together often. But it seems like JK and Suga are more than just a lamb skewers friends. In the BTS Rookie Channel, Suga made a shocking confession that he is the culprit behind Jungkook’s missing black underwear. When the maknae asked his hyung where it went, he didn't told him the truth that he was wearing it, and he didn’t gave it back because it had holes in it. He later revealed that he did it because he wants to dominated JK, and he warned his maknae that next time he will definitely steal his underwear and wear it again. Better keep an eye on your underpants, JK! Apart from music, sleep is the most precious thing to Suga, and no other member can beat him in sleeping, staying in the same place, and lying down - and he knows this himself! He ranked himself number 1 in lying down and number 7 in moving, and he also said that the longest sleep he's ever had is 20 hours straight. When RapMon said it's shorter than expected, he explained that he doesn't usually sleep for long, but he takes nap more often, that's why people thinks he is always asleep. He said, "My specialty is rolling around in bed on our days off. I'm really good at it. It's because i'm lazy." This maybe the reason why he said he wanted to be a stone in his next life! We don't have to further explain this one. This is already a given. A swag-less Suga is just a cutie pie Min Yoongi being too playful, too hyper, and too cute to handle with his killer aegyo charms. The cutest thing about him is when he pretends not to care, when in fact, he actually does. He seems like he’s all over the place, but he is quite careful. He has that kind of sugary sweet personality. And even though he seemed stubborn and lethargic, he actually wants to be loved, especially by the members. Awww, isn't he the sweetest sugar ever? Yes, hip hop is dead! 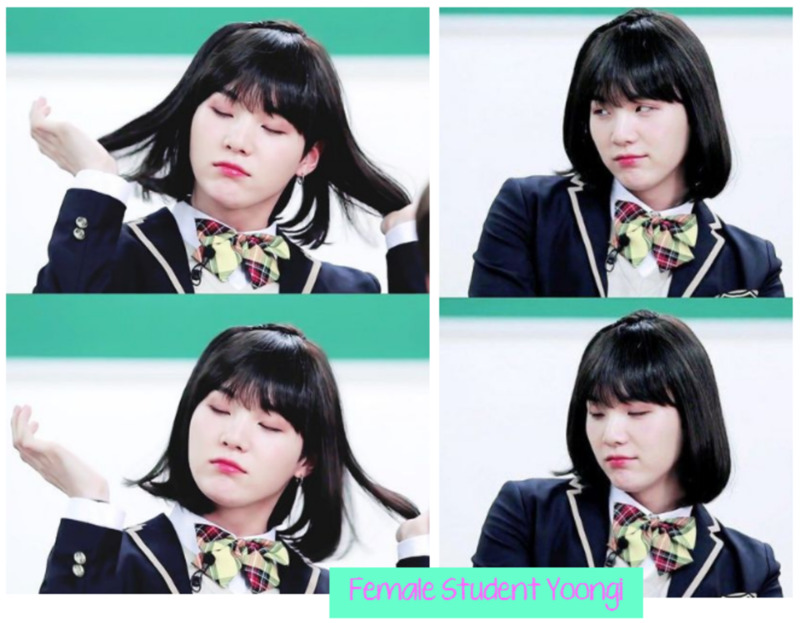 With his pale skin, beautiful legs, sugary sweet smile, and cutie pie eyes, there's no reason for a female Yoongi to be more beautiful than you. Just taking a look at her female student costume is enough to bring back the lost hope of humanity in the whole world. His face is as pretty as a newly-bloomed flower, and his cuteness is overflowing, it can make our hearts explode! The most confident expression for our swag master is his simple smile. For him, blown kiss and troubled expression are difficult. He is more comfortable and confident with his smile, so he is able to express it quickly. For him, his charm is his eye smile, and for us fans, that smile is everything. It shows that there is a cute and sweet Min Yoongi who wants to be loved inside the cool, swag, lethargic, and sassy Suga. In fact, he is a person who is not hard to understand. Happiness for him is doing what he wants to do, eat the food he wants to eat, listen to the music he wants to hear, and sing the song he wants to sing. If he doesn't like a certain thing, he is always blunt about it. But when he likes something, he is passionate about it. A wonderful message was given by BTS' Bang Shihyuk PD: “To Suga, rebel, old and young genius, because of you BTS can be BTS. Thanks for your talent and keep it that way." Bonus: "I Will Sue You Min Yoongi!" Of course, this can't end without Suga's famous fan who bravely shouted that she will sue Min Yoongi. Because she can't take Yoongi's handsomeness, sexiness, hotness, cuteness, and everything, she is ready to report him for being a dangerous man! 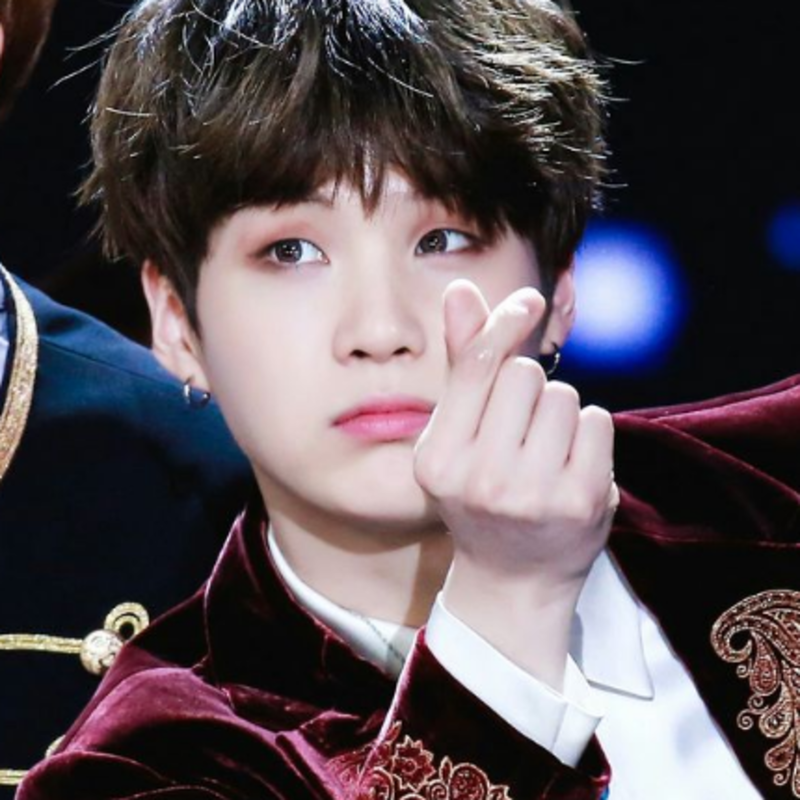 However, it was later revealed that the super fan was married, and she is sorry to her Yoongi-oppa for not leaving his ring finger empty for him. We wish her a happy married life and her efforts to love and support Yoongi will never be wasted. Did you have fun with the facts about the coolest swagger, Suga? If yes, then here's a finger heart from our cute Yoongi to you! Let us know what you think by sharing us your thoughts and expressing your love to Min Yoongi by leaving a comment below. Do you think Min Yoongi is a bias-breaker? What does "jjang jjang man boong boong" mean? 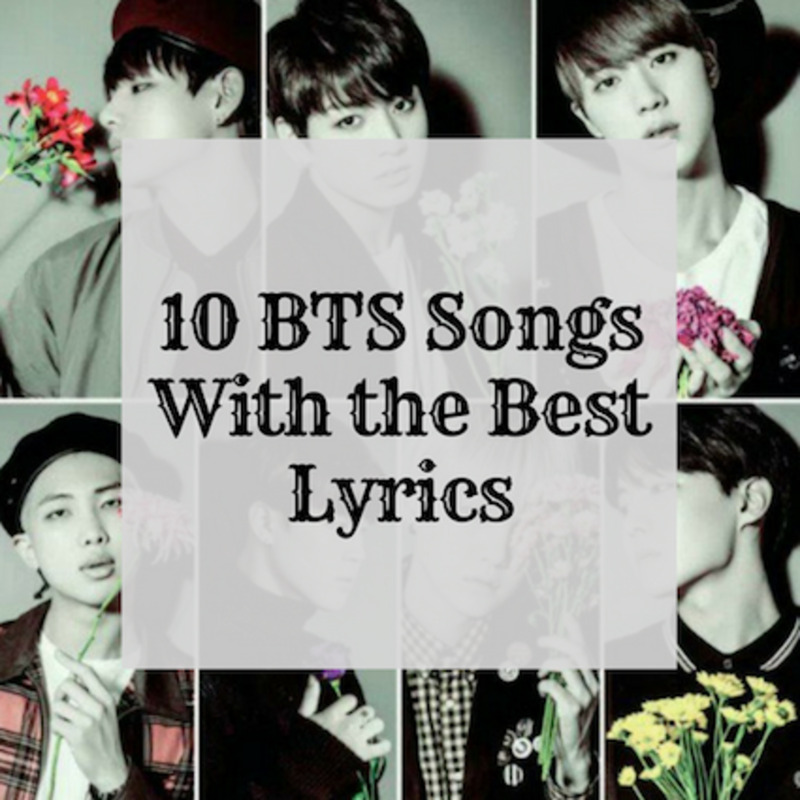 I will always love BTS because they write good songs. at first when my friend showed me them i didn't like them then i kept listening to their songs and i started to like them. my first bias was V then now its Suga. 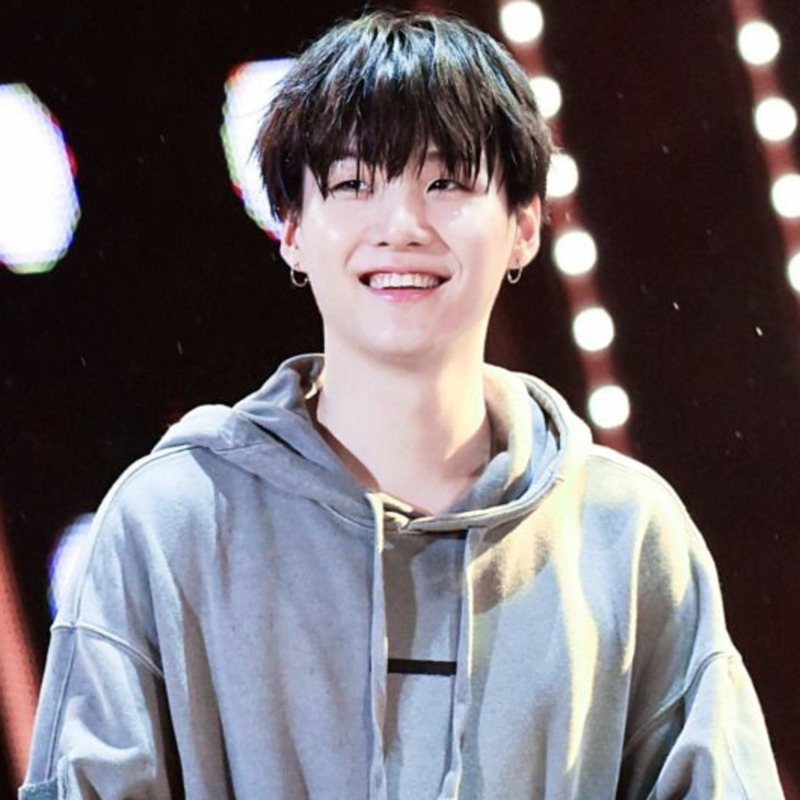 He is my light, my love, I love the way Suga dress, smile and talk! My rapper favorite! When i see his picture,i think he is cute...but now i don ' t why i'm just thinking about him when it goes to exam week. I'll ask this too, how could he be a bias wrecker when he is my bias? He is not my bias breaker... He was my bias to begin with. The only thing he broke is my heart!! I used to have Jungkook as my forever main bias, but 2 years later it was soon ruined by the one and only, V. Followed by Jimin and Jin (they were both in the same level, omg my hearteu) then J-Hope and RM. 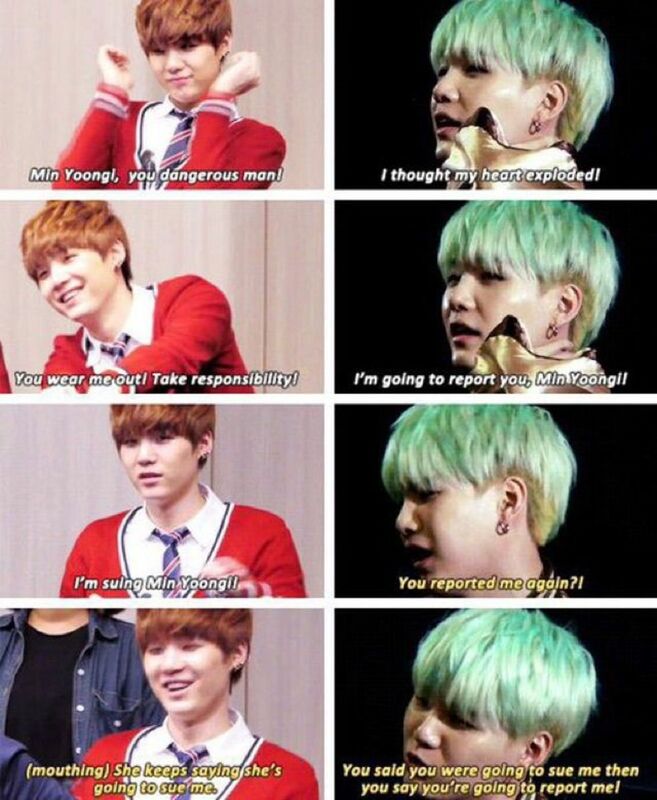 Since then, I really adore how cute Yoongi is, despite him being so straightforward all the time. I also adore how good he is at rapping, and that he has a special place in my heart (so cheesy) he's actually my top 2, idk which the top 1 is. But Suga will be forever my bias wrecker. HE IS A FREAKING BIAS BREAKER. IS THAT EVEN A QUESTION?? 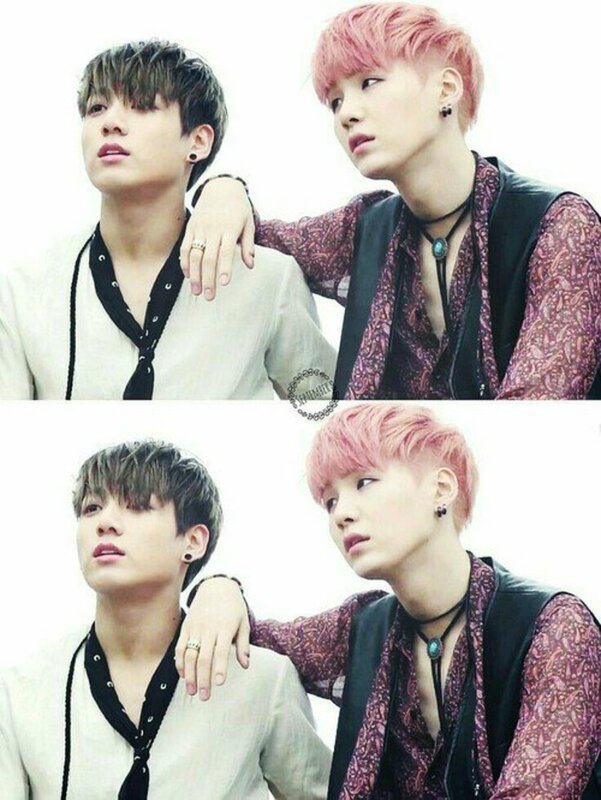 I USED TO BE SO SMITTEN BY JIN AND JUNGKOOK AND THEN I SAW SUGA AND I FREAKING COLLAPSED, MELTED, EXPLODED BECAUSE I CANT DEAL! SORRY IF YOU THINK IM OVER EXAGGERATING BUT THESE ARE MY TRUE FEELINGS. BYE. I love you SUGA!!!!! Fighting!!!! He will never be my bias-wrecker because he is my bias; my ONLY bias in whole K-Pop. 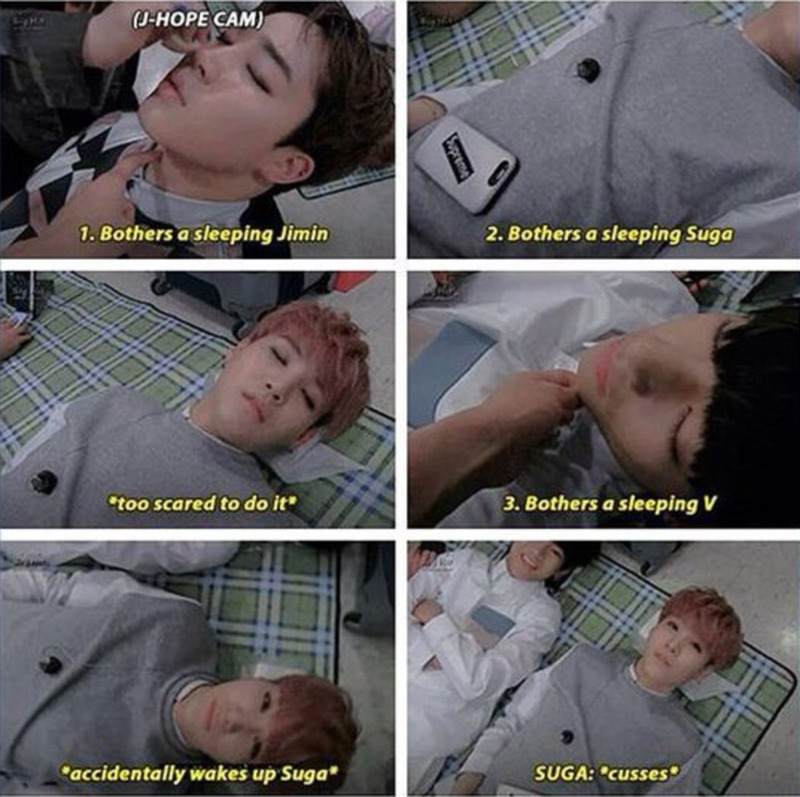 Suga you are the cutest person in the world. Don't take too much stress and relax your mind . Suga you are best rapper in this world and your tongue technology is awesome . 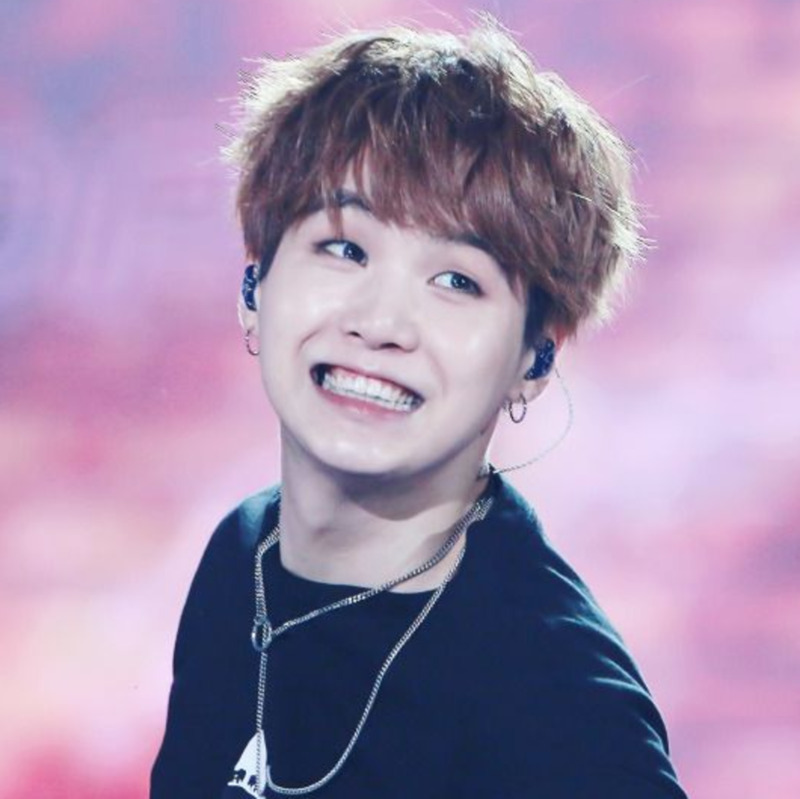 Always be happy suga and take care of yourself . UUUUUUUGGGGGGG. Why do I love them soo much? Imma report him for being too cute. Its a crime. 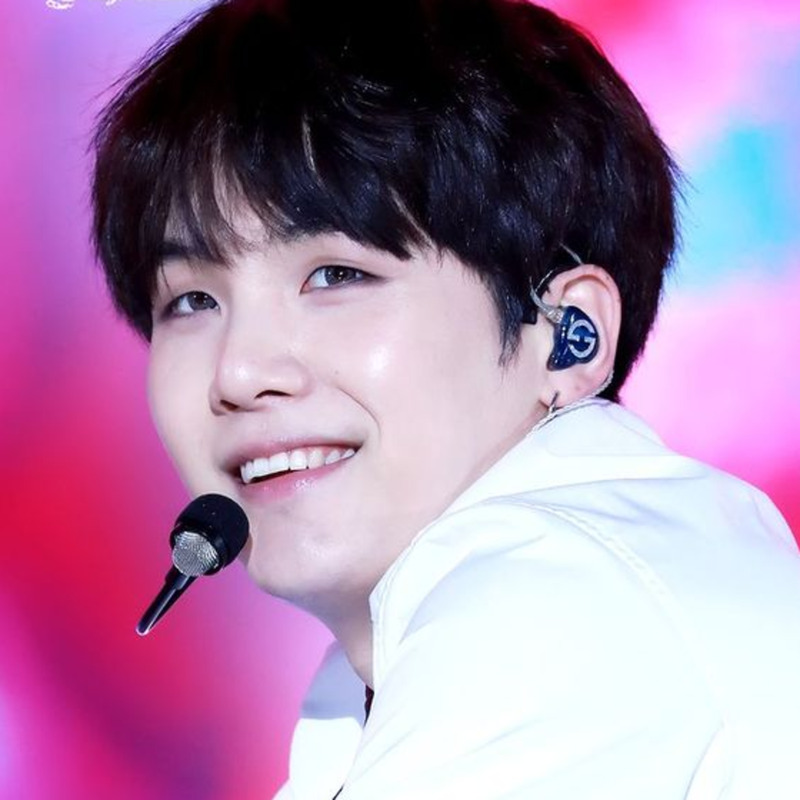 At first he didn't attract me much, but after going through over 100 videos of BTS, my heart is restless and keep searching for everything related to suga in youtube.